What could you accomplish if you knew it was impossible to fail? Anything you do, you could do successfully - to make yourself rich, improve your health, have better relationships - all these thing would be possible. That is exactly what Dorothea Brand uncovered. This classic self-help bestseller, out of print for years, was recently uncovered and edited for easy reading and use. This author coined the phrase, "Live as if it were impossible to fail." And she changed her life into one of unparalleled success in her industry. As mentioned on Earl Nightingale's "The Strangest Secret", I've researched to find this long out-of-print classic, editing it in order to make it easily readable and available to you. This collection of her two bestselling books now gives you the chance to study both cause and effect of discovery not just on her life, but on her readers' and students' as well. 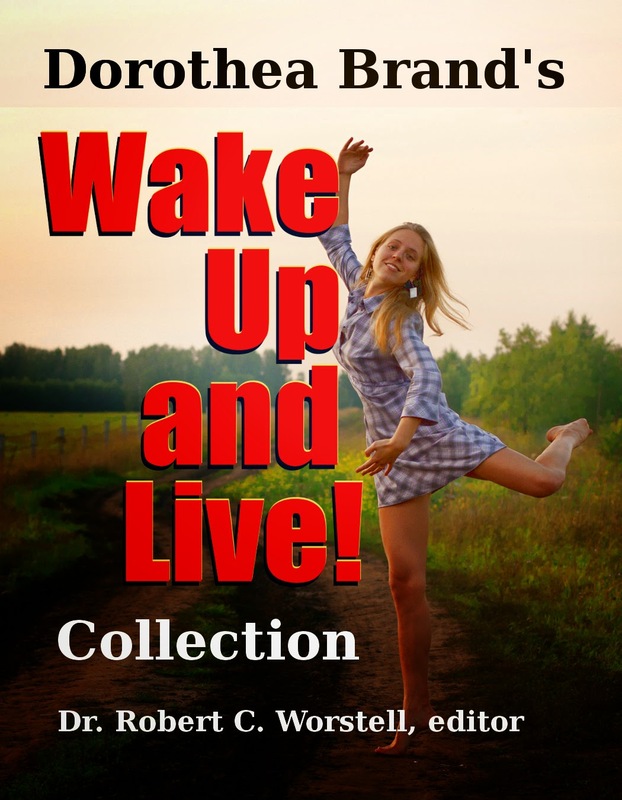 Just letting you know this blog dedicated to Dorothea Brande's Wake Up and Live is being created. Coming soon: A special book offer... stay tuned.